Following a successful business career working in various EU countries, Jon developed a passion for bike mechanics and the bike trade. As a Bike-Inn graduate, he quickly set up a successful business as Helmwind Cycles in Milburn, Cumbria and teaches at the Bike Inn. Jon also mechanic's at international races and corporate events maintaining performance bikes . Jon's Daughter is a professional racing cyclist currently riding for Biehler Pro Cycling. Henrietta started cycling at the age of 7 and was quickly put on the back of a tandem and taken on 'holidays',doing 85 mile plus days from Lincolnshire to the Peak District, the Welsh coast and back. For Christmas she received her first bike and competed in the Eastern Cyclo cross league where she found her competitive side. Moving up to Cumbria Henrietta competed at National ,international and World Cup level at youth and junior level being a member of the British Cycling National team. Thirteen National titles and a National 10 mile record holder by 50 seconds saw Henrietta move to full adult status. In 2017 Henrietta moved to Holland to live for the season supported by the David Rayner Fund and raced for Swabo Ladies. 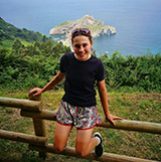 In 2018 she joined a Spanish UCI team based in the Basque country and then in 2019 moved back to the low countries to join Biehler Pro Cycling. At the end of 2017 Henrietta passed her City and Guilds bike maintenance thanks to the Bike-Inn course and when not racing supports both public and corporate events. David started racing at 15 and took up track racing not long after. Dave has contributed to his club (Ferryhill Wheelers) as a race organiser with over 150 races over 30 years and continues as a Commissaire (judge) to this day. David is also an experienced coach working with over 20 riders. He organises training camps in Spain and the UK catering for keen amateurs to top level international riders. Always a keen mechanic David has been building and maintaining all styles of bikes for over 40 years and doing running repairs as part of race and training camp support. Jean's background in sports includes previously competing in marathons, duathlon and triathlon. The bike won her over and she switched from trainers to pedals. 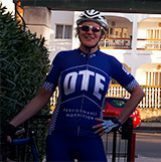 Initially partaking in sportive events she has since taken to competing on the bike, including time trial,grass track and cyclocross. After working in the NHS for longer than she cares to recall she is currently on a 'gap year' to enable a better lifestyle in the heart of Cumbria. Ride leading and a Partner in The Bike Inn won't leave much time for rest!